6 p.m., Tuesday, March 10 dinner at York College of Pennsylvania, 5th floor of Yorkview Hall, Willman Business Center. The Central Pennsylvania Chapter of the Public Relations Society of America (PRSA) is hosting the event in conjunction with the York College chapter of the Public Relations Student Society of America (PRSSA). Tickets for the event are available at www.prsacp.org. After 5 p.m., free parking is available at Wolf building parking lot behind the Willman Business Center, located at 441 Country Club Drive, York, Pa. 17403. 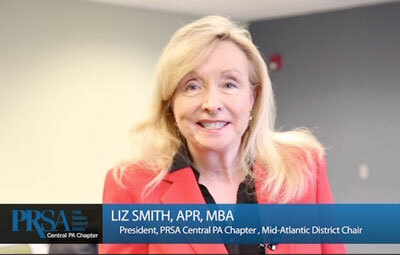 “Public relations pros, students and guests will learn about crisis communications and the importance of one cohesive message at this exciting and insightful dinner event,” said Liz Smith, president of America (PRSA) Central PA and chair of the PRSA Mid-Atlantic District, with the most members in the entire country. Ray Rice and his then-fiancée, Janay Palmer, were involved in an early-morning fight on an elevator in an Atlantic City, New Jersey, casino in February 201. When a video surfaced in September of Rice hitting Palmer, knocking her out, the Ravens terminated his contract. The NFL suspended Rice indefinitely, but this was later overturned and he is currently a free agent. Byrne has been with the Raven’s organization for 34 years. During his NFL career, he has started team marketing, TV and website departments. Byrne has provided media relations assistance at 25 Super Bowls and two Pro Bowls at the NFL’s request. His duties have also included contract negotiations, directing the team’s marketing department and serving on committees to interview and select Ravens head coaches. See www.prsacp.org for more details on the March 10 event.